Art Miami – The city’s original and longest running contemporary and modern art fair will return for its 27th year. Art Miami will present an array of iconic and exemplary works, dynamic projects and special installations with a focus on presenting the finest investment quality paintings, photography, prints, drawings, design, sculpture and video art, with works from the 20th and 21st centuries. 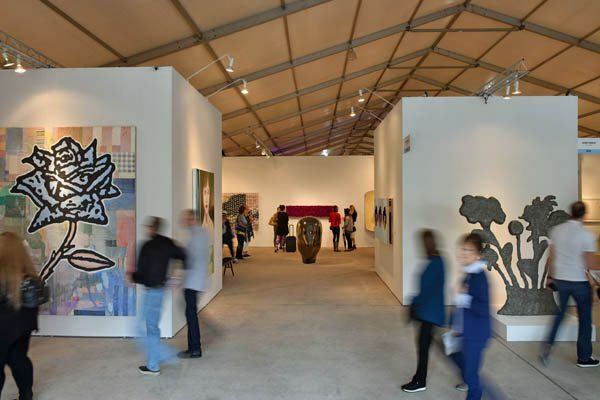 Art Miami’s 2016 line-up will feature over 130 galleries from more than twenty different countries, exhibiting important modern masters and blue chip contemporary artists as well as the most sought after living artists from the around the world – including Frank Stella, Andy Warhol, Roy Lichtenstein, Willem de Kooning and Ed Ruscha. 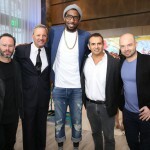 Joining the esteemed contemporary artists to be offered at Art Miami are Academy Award winner Adrien Brody, who displayed his “Hooked” exhibition at both Art New York and Art Southampton earlier in the year. 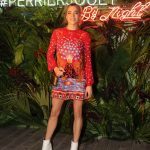 The festivities begin on Tuesday, November 29th with a VIP Private Preview to benefit Pérez Art Museum Miami (PAMM) in the Art Miami Pavilion. 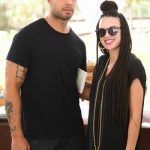 Aqua Art Miami – The sister satellite fair to Art Miami, Aqua Art Miami will celebrate its 12th edition at the Aqua Hotel (1530 Collins Avenue Miami Beach, FL 33139), from Wednesday, November 30th to Sunday, December 4th, 2016. One of the best fairs to find emerging artists during Miami’s Art Week, Aqua Art Miami has consistently earned critical recognition for presenting vibrant and noteworthy international art programs with a particular interest in supporting young and established galleries with strong emerging and mid-career artists, while retaining the fair’s signature relaxed vibe and lively energy. CONTEXT Art Miami – Now in its fifth year, CONTEXT Art Miami is expanding. Dedicated to the development and reinforcement of emerging and mid-career artists, CONTEXT will, for the first time, take place in a standalone 65,000-square-foot pavilion just one block away from the Art Miami Pavilion in the middle of Midtown. As an exciting addition this year, new exhibitors to CONTEXT Art Miami include London’s Paul Stolper Gallery, which will offer an installation of new works from English musical genius and visual artist, Brian Eno. 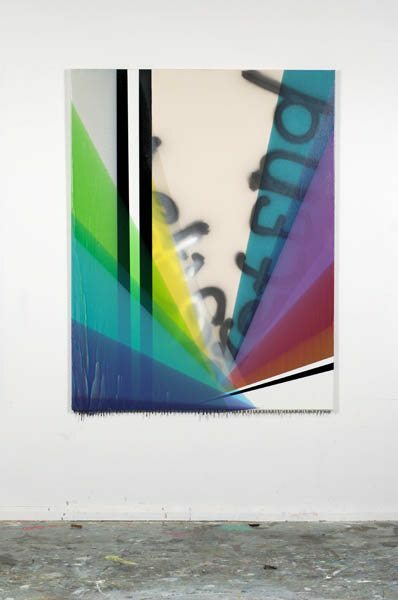 Eno will show new light boxes, which seamlessly phase through combinations of seductive self-generated ‘colourscapes.’ Zurich’s Galerie Andres Thalmann will make its first appearance at the fair, presenting a solo booth of works by Katja Loher. Gibbons & Nicholas from Dublin also will make their debut in Miami with a selection of emerging, mid-career and established Irish artists. Style innovator and icon Patricia Field will make her Art Basel Miami Beach/Art Week debut with ArtFashion, a curated collection of one-of-a-kind artist created pieces at White Dot Gallery in Wynwood. The gallery invites the viewer to explore made-to-order fashions that have already attracted fans like Beyoncé, Miley Cyrus and Madonna. Just a few steps away for the powdery sand beaches of Miami, the 1 Hotel South Beach, located at 23rd Street on Collins Avenue, resides at the northern tip of SOBE. And, although a just a few blocks away from the iconic heart of the Art Deco district, 1 Hotel offers all the trendy vibe and luxurious amenities you would expect to find at a high-end hotel in the neighborhood. It serves as the perfect basecamp from which to explore and experience the action and party scene of Art Basel. Better yet, the hotel has Tesla cars available to take you anywhere within a three-mile radius of the property so you’ll never be too far from any of the action but will enjoy peace and quiet when trying to get some shut eye. 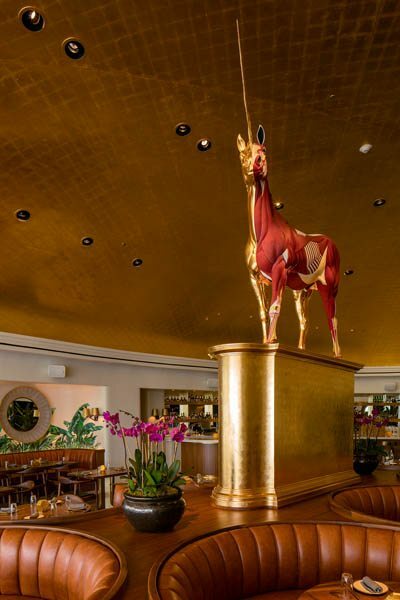 This year, the 1 Hotel South Beach will play host to Interview Magazine’s exclusive cocktail to celebrate pop culture icon Paloma Picasso’s 35th anniversary with Tiffany & Co. which will be a gathering of who’s who in the art world. 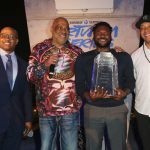 Since its opening the Miami Beach Edition on 29th Street and Collins Avenue has served as one of the most exclusive venues for the hottest Art Basel parties, and rightfully so. A partnership between Ian Schrager and Marriott International unites great design and innovation with pure luxury where you can have it “all under one roof.” Expect to see many parties in one of the swish 28 private bungalows, spectacular rooftop penthouse or in one of the limited edition one-of-a-kind residences designed by John Pawson. 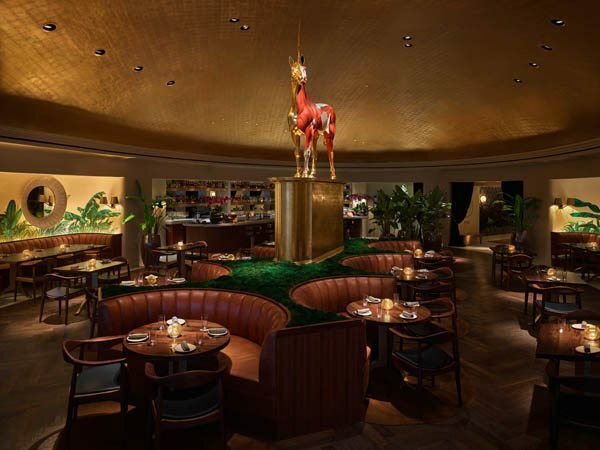 As no details have been spared, the culinary concepts are overseen by Michelin-starred chef Jean-Georges Vongerichten, including Matador Room, a restaurant that offers his distinctive, modern interpretation of Latin cuisine influenced by Spanish, Caribbean and South American flavors. Basement Miami, offers a unique entertainment area complete with a bowling alley, ice-skating rink and nightclub, and state-of-the-art sound system, as well as dramatic lighting and projection effects created by world-renowned lighting designer Patrick Woodroffe. One of the most anticipated openings coming to South Beach is the Nobu Hotel created by the powerhouse team of renowned chef Nobu Matsuhisa, Academy Award winner Robert De Niro, Hollywood producer Meir Teper and Australian business tycoon James Packer. 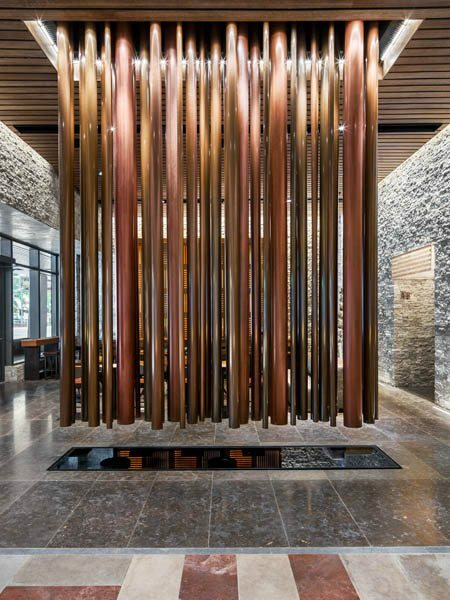 The Nobu Hotel naturally features world-renowned Japanese restaurant Nobu Miami, Helene Henderson’s Malibu Farm, along with rooms and suites set within the Eden Roc Miami Beach’s landmark Morris Lapidus tower. Designed by architect David Rockwell, the guest rooms and suites offer stunning ocean and Intracoastal views with designs that draw upon Japanese architecture and the hotel’s oceanfront location to evoke a contemporary Japanese beach house. All rooms and suites feature private bars and exclusive food and beverage offering, Barcelona’s Nature Bissé bath amenities, custom Nobu mattress and Fili d’Oro bed linen. Nobu guests will soon have exclusive access to a private Nobu pool with soaring views of the ocean and beach with Nobu poolside service and menus. The newest mid beach jewel is The Confidante, an oceanfront oasis that reflects the 1950s Golden Era of Miami combined with the sophistication and amenities of modern day that has been revived by revered British interior designer Martin Brudnizki and Miami’s famed landscape architect Raymond Jungles . 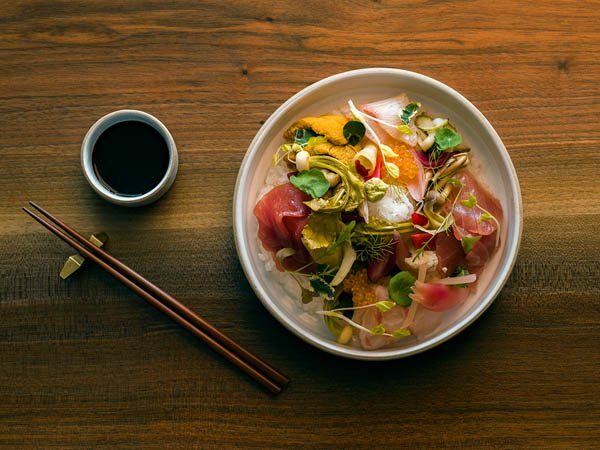 Guests can enjoy eclectic dining experiences like a Floridian brasserie, Seagrape, and “Top Chef” alum Dale Talde’s casual Asian-American restaurant and bar, TALDE Miami Beach. There are plenty of spots to relax and unwind from the hustle of the art fairs whether its by one of the heated pools or on the beach, the lush tropical gardens in The Backyard or in an open-air, rooftop spa. Get glam for the night at the ensuite Warren Tricomi Studio. The warm, welcoming, unpretentious vibe that’s similar to a friend’s beach house serves as the inspiration behind the name, The Confidante: a best friend, trusted insider. 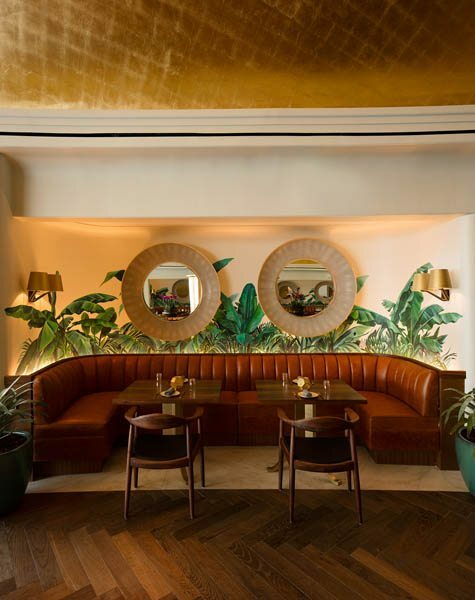 Culture vultures would appreciate The Betsy, a refined beachside haven in the middle of the Art Deco district. The gorgeous Georgian architecture celebrates the glorious 1940s past exuding an aura of timeless luxury. Once home to the literary crowd, The Betsy pays homage to Miami’s cultural heritage with their PACE Program. From curated soundscapes to cutting edge visual art and visiting thought-leaders, The Betsy’s programs inspire, inform, and create an unforgettable and unique South Beach experience. The Betsy houses Miami’s only Writer’s Room, which serves as a working studio space for visiting writers, and since The Writer’s Room opened in 2012, more than 200 working writers have stayed at the hotel and engaged in community service programs. Only steps from the sand, the boutique-style Stanton South Beach hotel balances the “heat” of Miami’s city life with the relaxing, beach-y vibe of its exclusive South of Fifth location. Newly renovated accommodations feature a 1950’s-style design with a crisp color palette of white and gray walls and surfboard inspired-décor, making this sophisticated beachfront property a serene retreat in the middle of the action. Wall Lounge will host a number of afterparties and after afterparties during the week. On December 3, DJ and producer Davide Squillace, in collaboration with creative laboratory Boiler Corporation, Blender thinks and re-stages the club experience merging dance music, design technology and contemporary arts and brings this collaboration to Wall Lounge at the W Hotel. The idea of each Blender event is to record data from the night to be mixed and processed in order to create an artwork or a design piece. The ‘data’ effectively stems from the live music set as well as the images and environmental sounds, tangible testimony of the crowd behavior. Blender Sculpture 1 was produced in collaboration with Belgian artist Frederick De Wilde and presented during Art Basel 2015. The project has then established a collaboration with Recipient Collective, who designed an innovative ad-hoc software to gather live data from the clubnight and generate a 3D artwork. Blender draws inspiration from the Futurist manifestos, Fluxus’s disdain for hierarchy and from the heritage of techno club culture. 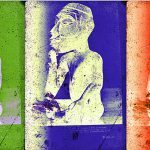 The project aims at drawing new relationships between sound and image, artist and audience, venue and exhibition space, redefining the role of music -and the body- in the universal context of creation.